The Korean Wrap - Rice Paper, Seasoned Rice, Kimchi, Red Leaf Lettuce, Cucumbers, Marinated Bean Sprouts, and our signature Ssäm sauce with your choice of meat/tofu. The Classic Vietnamese Sandwich - toasted Baguette, pickled Carrots and Daikon Radish, Cucumbers, Jalapeños, Mayo, Cilantro, and your choice of meat/tofu. Try it the traditional way with our Housemade Pâté. 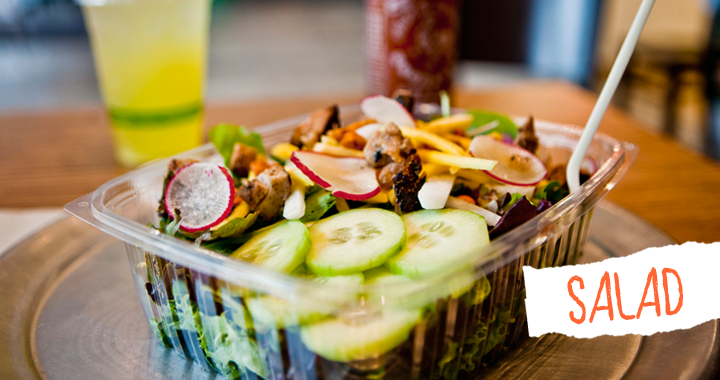 Asian Lettuces, Mango, Cucumber, Jicama, Radishes, Spicy Peanuts and your choice of meat/tofu tossed with our Sesame Vinaigrette. 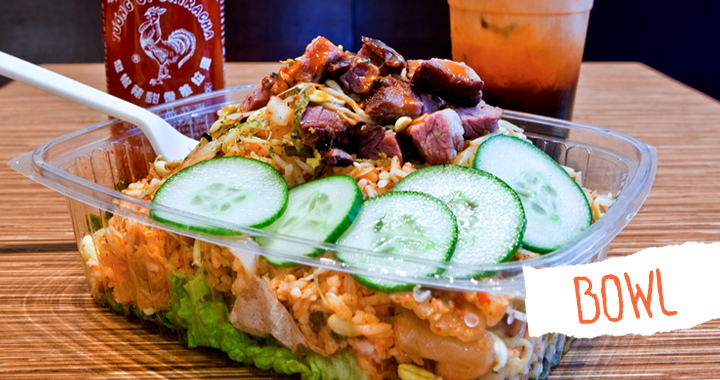 Everything in our Ssäm but in a Rice Bowl - Kimchi, Rice, Marinated Bean Sprouts, Cucumbers, Red Leaf Lettuce, our signature Ssäm sauce, and your choice of meat/tofu. 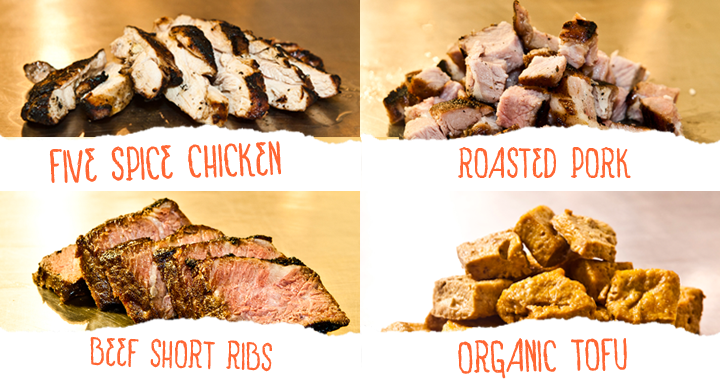 Our Meats are naturally-raised and our Tofu is 100% Organic because we believe that makes everything taste better. Thinly-shredded cabbage, herbs, peanuts, with a ginger dressing. 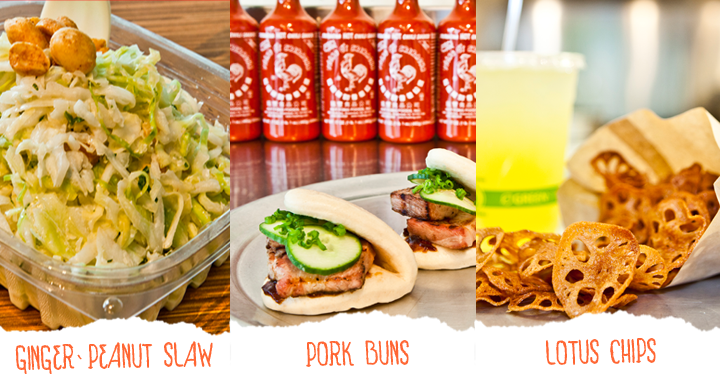 Kurobuta Pork Belly, pickled cucumbers, hoisin sauce, scallions on a steamed bun. House-made in small batches, lightly salted and crispy.